The book is a detective fiction. 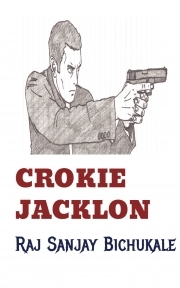 This is a story of Crokie Jacklon who is a detective. Raj Sanjay Bichukale, a seventh standard student is author of this detective fiction. Re: Crokie Jacklon by Satya123. This is a very good book. A must read for all kids. It is an inspiration. Evey schoolgoing student must read it. You can get good idea about how to use your imagination. Raj is a good writer. He should write some more books.